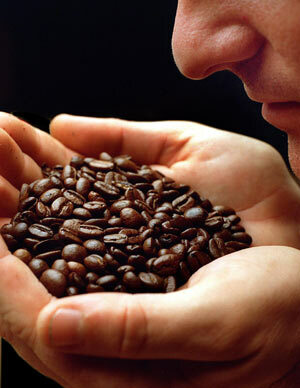 As the bean develops in the roasting process, you will notice subtle aroma shifts that occur as coffee is roasted. At lighter roast levels you can detect delicate aromas as steam escapes the bean, but as you go darker this steam turns to smoke as you begin to incinerate the sugars and volatile organic compounds locked inside. Yellowing: As the green coffee begins to change colour to a pale yellow you will notice a grassy aroma. City to City+: When a roast is at this stage the aroma should be sweet and complex. There might be a slight matiness and a sugary hint. Full City to Full City+: The aroma begins to have a slight burnt sugar and toasted nut character. Since the cell structure of the bean is breaking down you will notice more smoke.